So, your (insert loved one here -- sister, brother, best friend, favorite cousin, etc) is getting hitched. Doesn't it feel a little...lackluster to be wrapping up a blender to send them off into wedded bliss? I mean, nothing says "I love you" like a completely impersonal, overpriced Crock Pot from Bed Bath and Beyond, right? I remember attending my first wedding shower as a guest, a smile plastered on my face as I joined the chorus of other women, cooing, "oooh, goodness! A Cuisinart!" But my heart sinks a little every time I order another set of champagne flutes, table linens, or anything branded with KitchenAid. I know, I know. The bride and groom need those things for their new home (and really, I do love a good food processor). But those who give from the heart will know what I'm talking about. With that in mind, we brainstormed, searched, and scoured high and low for the best non-traditional gifts that will last a lifetime. The perfect piece of artwork. Can you get much better than personalized calligraphy on rustic wood? Plus, give it to them beforehand, and it's the perfect piece of reception decor. The bride and groom have no idea what a large mountain of those pesky thank-you notes they'll write in their lifetime. Keep their hand cramping to a minimum with an adorable custom rubber stamp set. It'll save them a LOT of trouble, time, and best of all, will ensure their thank-you's are always pretty! An activity the bride and groom can look forward to with every passing milestone, to their first Christmas together, first anniversary, and first baby. Perfect for the groom, or for all of the groomsmen. These are hand sewn, complete with personalized, gold initials. He'll always be traveling in style. Yes, this is technically a "for him" gift, but seriously, what bride doesn't want to up her husband-to-be's wardrobe? Give him a gift of a custom-fit shirt, blazer, or suit from companies like Trumaker and Suit Supply. Special for the bride, give the gift of customized piece of "handwritten" jewelry, with the groom's handwriting, or even the handwriting of a loved one who has passed away. Just provide a snapshot of their handwriting, and this jeweler does the rest. Let's be honest, some of our favorite pictures from the big day are of the bride and her girls getting ready. Surprise the bride with custom robes for all the gals in the wedding party, to make those moments extra special. Make sure the bride has something with her new initials ready to wear after the big day. Something for both the bride and groom, reach out to close friends and family and have them write down their favorite childhood recipes to stash in a personalized recipe box. Find out where the bride & groom like to eat, and buy them a gift card to their favorite fancy restaurant. A package of movie tickets for film buffs, or even a day of skydiving for the adventure-seekers. Often times, giving experiences is better than giving tangible items! 11. A honeymoon activity: Where is the couple going on their honeymoon? Can you buy them a gondola ride in Venice? Bungee Jumping in South America? A Jet Ski package in Hawaii? They'll always have the best memories of the experience you gave them! 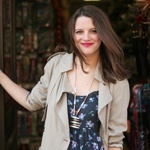 Jess Keys is a graduate of Indiana University, a Chicago transplant and Founder of The Golden Girl Blog. She was first bitten by the wedding bug at age 11, when she purchased her first Brides magazine in the Lexington, KY airport. She's partial to red lipstick, French Bulldogs, and a lover of the written word. You can often find her at the closest Dim Sum establishment, or exploring the Windy City with her camera in tow.